The Apple MacBook Air gets the all-new 13.3-inch retina display for the first time. It comes with Touch ID support for T2 security chip. Apple launches the all-new MacBook Air that hadn't seen a design update since 2010. 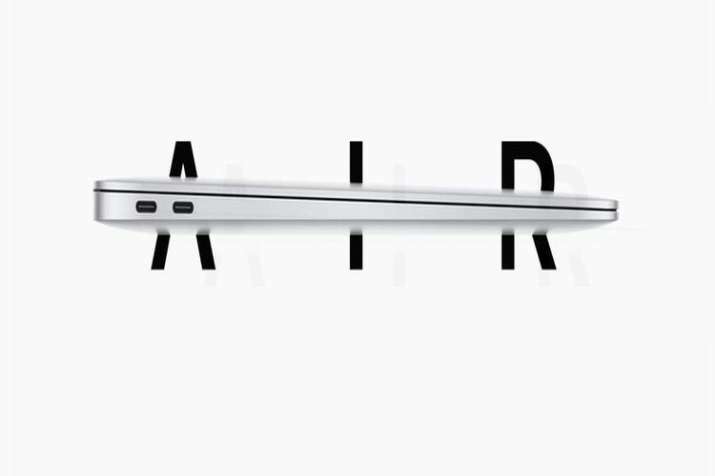 Although it got an update in terms of specifications but now the latest 2018 edition of MacBook Air gets the all-new 13.3-inch retina display for the first time. It comes with Touch ID support for T2 security chip. The all new Apple MacBook Air gets a 3rd gen Butterfly keyboard with other features like spacious Force Touch trackpad, wide stereo sound and faster SSDs. It features a stunning 13.3-inch Retina display with over 4 million pixels of resolution with 48 percent more colours than before. The MacBook Air comes with a built-in FaceTime HD camera and has three microphone array for better audio output. To unlock the keyboard, the MacBook Air now comes with a Touch ID fingerprint sensor built right into the keyboard. Other features include the Force Touch trackpad that offers pressure-sensing capabilities and haptic feedback. The trackpad is 20 percent larger than the previous model and the speakers are 25 percent louder than before. It comes powered by 8th generation Intel Core i5 processor, backed with Intel UHD Graphics and faster 2133 MHz system memory up to 16GB and up to 1.5TB SSD storage. Other addition to the MacBook Air includes two Thunderbolt 3 ports. The new MacBook Air now delivers almost 12 hours of battery life and 13 hours of iTunes movie playback. Moreso, Apple also announced the MacBook Pro graphics option that comes with Radeon Pro Vega graphics to MacBook Pro. Apple has launched the MacBook Air in three colour options of gold, space grey and silver colours. The MacBook Air price starts at $1,199 (Rs.88,160 approx.) for the 128GB variant and $1,399 (Rs. 1,02,890 approx.) for the 256GB variant. The laptop can be ordered from US and will be available from 7th November.